A pre-owned Stella 32 Bass Accordion, spares of repair. 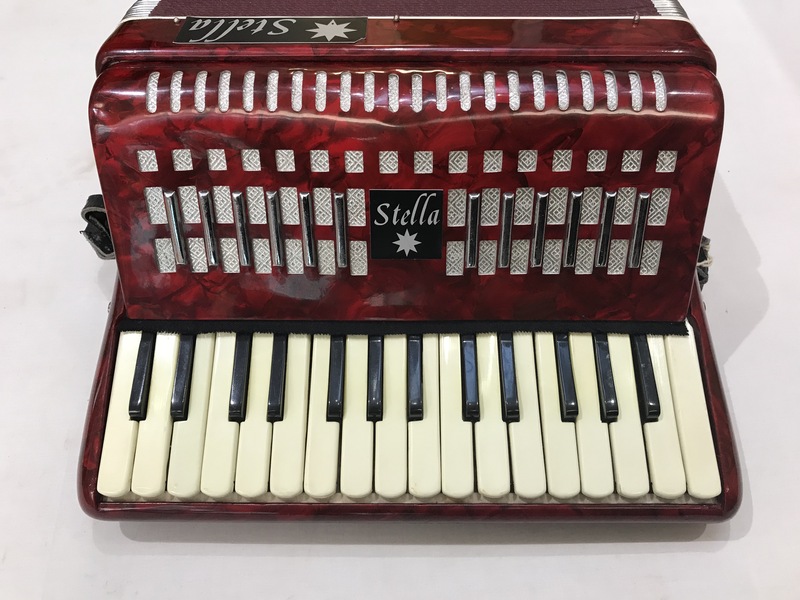 Once repaired, this extremely compact and lightweight Chinese built student model accordion would make an ideal instrument for a young child, or indeed a very small adult, to start learning to play on. It features a fixed two voice tremolo tuning, making it ideal for most styles of music, and is finished in an attractive pearl red casework. 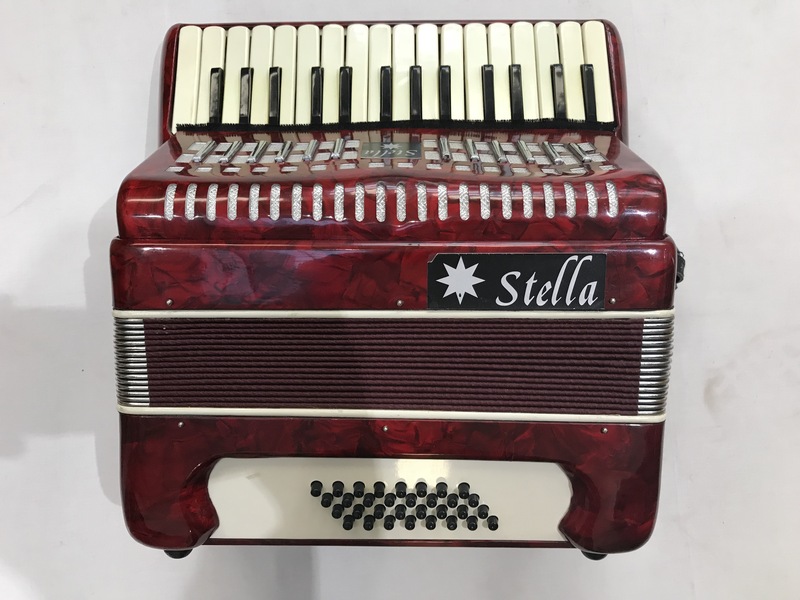 It does however, have a few issues that at the moment we simply don’t have the time to fix, hence this Stella 32 Bass Accordion is being sold as as seen with no guarantee for an extremely low price. 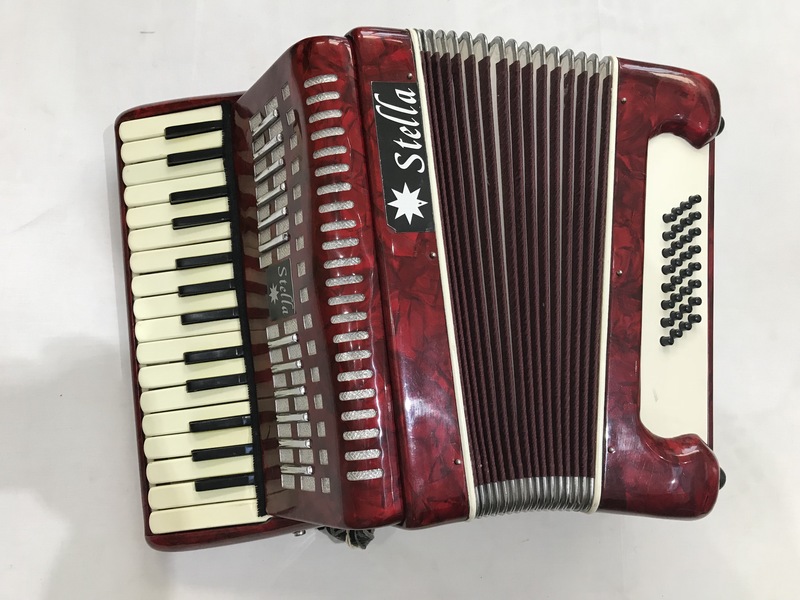 This accordion would be ideal for somebody fairly practical who would be able to restore it into a more playable condition. Please contact us for further details of what work would need doing. 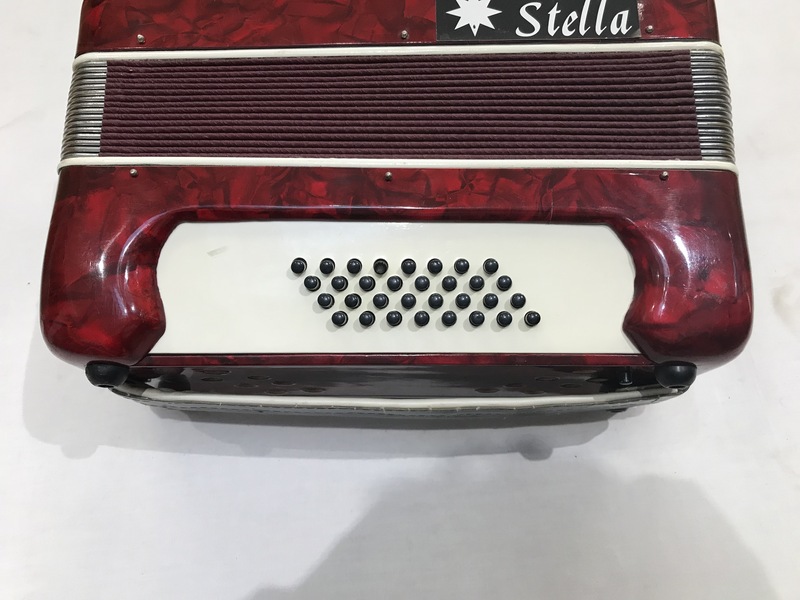 No guarantee is offered or implied, and the accordion is sold as seen. Free delivery to most parts of mainland Uk is included in the price. Weight: 5.44 Kg. - 12.2 Lbs.